Club Nursery is back this Saturday! All 4 to 7 year olds welcome. Nursery in Russell Park runs from 9.30 to 11am, just pop down and join in the fun. All-Ireland Football Final - Dublin v Tyrone takes place on the 2nd September. All the best to Paddy as the big day arrives. 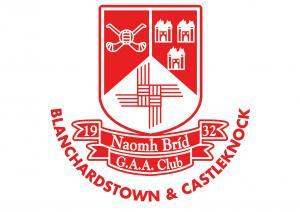 Ticket night is this Thursday, August 30th from 8.30pm. Rules are now on the club website. 1 to 1000 draw being launched on the night. If you are not fortunate enough to get to buy a ticket for Sunday’s match come down to the club and watch with the gang. Dublin Ladies had a great win against Galway in the SFC Semi-final and meet Cork in the All Ireland Final on 16th September. Wishing all the best to Noelle, Ciara and Deirdre in their preparations. St Brigids Annual 5km run will take place on Sunday, September 16th at 10am. The run was a brilliant success last year and we hope to grow the numbers even more in 2018! Sign up online via; www.stbrigidsgaa.com All standards and abilities welcome! St Brigids Lip Sync event will take place on October 6th, there is a huge evening of entertainment in store, preparations are starting to ramp up. A huge thank you to our great Lotto Committee and to everyone who supports St Brigid’s Club Lotto. Our next Lotto draw is in Russell Park on Thursday 6th September when the Jackpot will be €6,200. Juvenile games are in full swing from the coming weekend, best of luck to all the teams commencing underage championship campaigns.